My friend put us in touch with a lovely woman who holds book/poetry readings in the West of Ireland. Another author (Melissa Mayhue) will join me tomorrow (Saturday, Feb. 14 at 5 p.m. mountain time) in Second Life for a "performance." 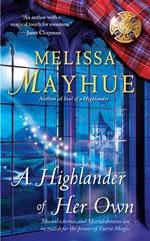 She'll be reading from her latest time travel romance, A Highlander of Her Own, and I'll be reading from my latest, Dark Harvest. We'll also be answering "audience" (the avatars of those who have come to the event) questions live. I'll be trying out my new Snowball microphone. I'm in Second Life but I would have no idea whatsoever how to drop by anywhere for anything. I really need to figure this thing out. Good luck with your reading! Thanks, Jacquie! I'm still trying to figure it out, too! I'm in Second Life too, but there's no way to find your reading without an "SLURL", or Second Life URL. Looking up your name there would not help, but the name of your avatar might. However, you didn't include that either. Please post both here, and also on the BU list, please! And my avatar name is Lyza Darkstone. Good luck Lynda! I'm sure it'll be alot of fun. You're going to sound great. I'll have to drop by WoI to check out your reading! Mind if I send a friend request your way? Wow, this is intense stuff! I have to admit to reading the Twilight" series right now... it's eye candy in the 1st degree, and just plain fun. I'll look forward to delving into your books as well. Welcome to Blog Babes!